Manchester United left their disappointing defeat against West Bromwich in the rear view, and they bounced back with a decent 2-0 win over Bournemouth earlier this week. But The Red Devils will take a small break from the Premier League this weekend, as they will take on Tottenham Hotspur at Wembley in the 2017-18 FA Cup semifinals. It will be United’s second FA Cup semifinal in the last three years. Will they be up to the task against a Spurs side that is also having an excellent season by their standards? Just like it happened in our last preview ahead of the Bournemouth game, the team news section in our previews will be extremely short. Jose Mourinho confirmed during the pre-match presser that he has a fully fit squad to choose from. The lone absentee will be Sergio Romero, as the Argentinian goalkeeper is still “a few weeks away” from returning after the injury he sustained with La Albiceleste in the friendly against Spain a few weeks ago. One thing to note is that there is a chance Mourinho fields a stronger team in this game. Romelu Lukaku, Alexis Sanchez and others should return to the starting XI. Mourinho himself said that the players proved him that they “want to play in the FA Cup semifinals”, but Manchester United are likely to be at full strength. On the other hand, Tottenham won’t have left-back Danny Rose (calf) and midfielder Harry Winks (ankle) available. Second-choice stopper Michel Vorm has played in goal throughout their cup run, as he did last season, but it wouldn’t be surprising to see Mauricio Pochettino select Hugo Lloris for this one considering the opposition. He already took that route in the 2016-17 campaign, when the Frenchman started in the FA Cup semifinals against Chelsea (2-4 defeat). Manchester United have been one of the top teams in the FA Cup. The Red Devils have won all of their games in comfortable fashion, and are yet to concede a single goal during their run. They started the tournament with a 2-0 win over Derby County in the third round, and later put four past Yeovil Town in the fourth round. They also defeated Huddersfield Town and Brighton Hove and Albion by 2-0 scores each, giving them 10 goals scored and none conceded in four FA Cup matches. Meanwhile, Spurs have had a tougher path to the semifinals. They kicked their campaign with a solid third-round win over AFC Wimbledon (3-0), but later needed replays to get past two lower sides such as Newport County (1-1, 2-o) and Rochdale (2-2, 6-1). They trounced Swansea City (3-0) in the semifinals away from home, and sneaked into the top four for the second straight year. Will they manage to get past a United side that also edges them in the Premier League standings (second against Spurs’ fourth place). United have the edge over Spurs historically, winning 89 of our 188 meetings – the first coming in 1899. There have been 48 draws while Tottenham have won 51 times. The sides last met in the FA Cup in January 2009, with United running out 2-1 winners on the day at Old Trafford. Manchester United have been on top form during the entire FA Cup run, and they shouldn’t have problems to escape with the win against a Tottenham side that has had more problems than expected thus far in the tournament. 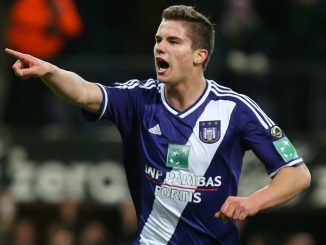 Manchester United Coveting Leander Dendoncker – Who Is This Belgian Everyone Talks About?